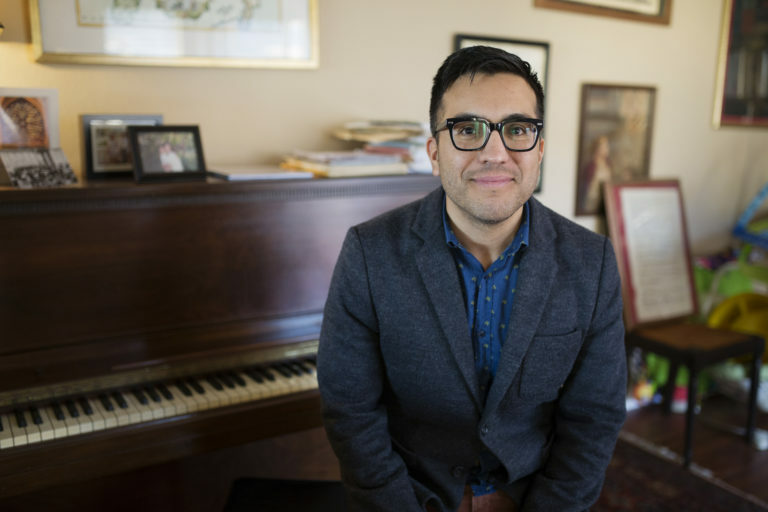 Ruben Valenzuela is the artistic director and founder of the Bach Collegium San Diego, a recent recipient of a $10,000 grant from the National Endowment for the Arts. Photo by Megan Wood, inewsource. Click to explore the interactive on the inewsource website. In 1981, the Reagan administration fully intended to abolish the agency, “but dropped the plan when its special task force on the arts and humanities discovered ‘the needs involved and the benefits of past assistance,’” according to former NEA chairman Livingston Biddle. In 1989, Sen. Alfonse D’Amato denounced an NEA-funded work of art — “Piss Christ” by Andres Serrano — as a “deplorable, despicable display of vulgarity” and joined with other senators in demanding the NEA change its grant procedures. 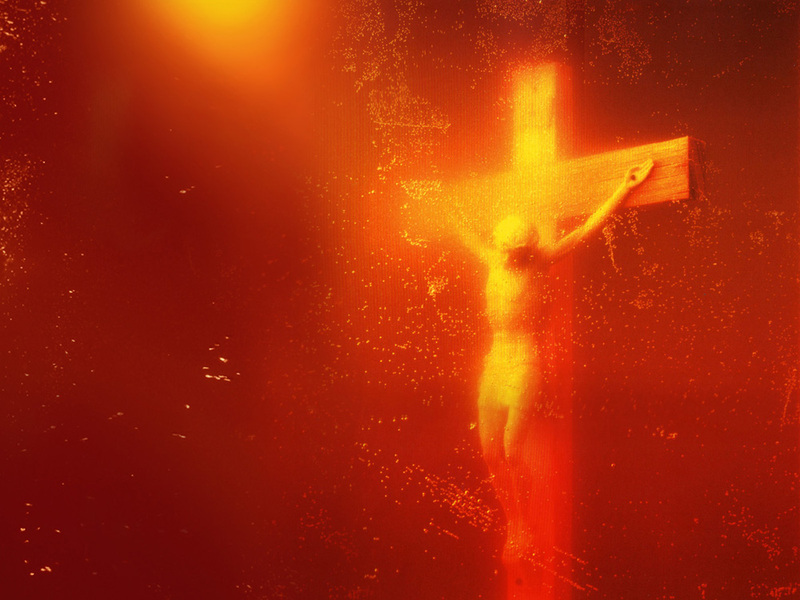 Immersion (Piss Christ) is a photograph by Andres Serrano that depicts a plastic crucifix in a jar of the artist’s urine. 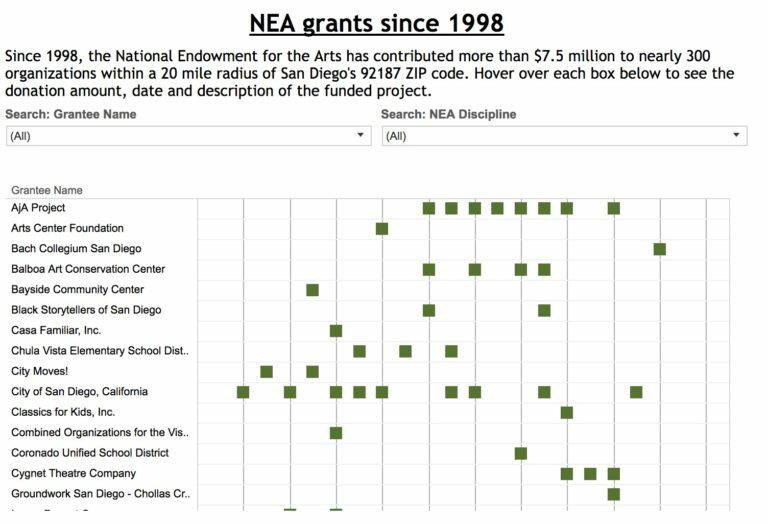 Part of the funding for the artwork came from the National Endowment for the Arts, and the photograph sparked fierce debate among elected officials about the role of the NEA upon its unveiling in 1987.